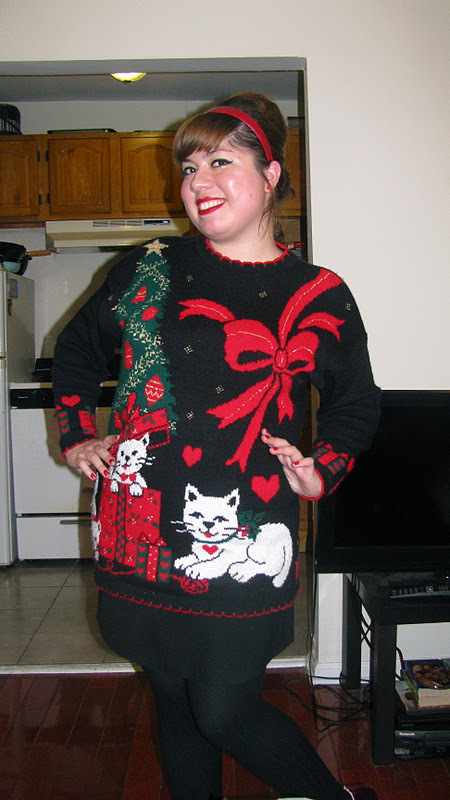 What I wore is a lot of amazing Christmas sweaters! 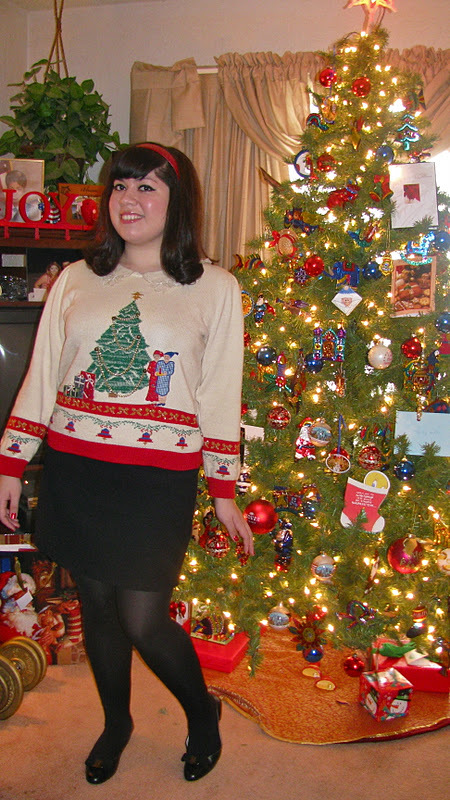 The Christmas sweater I'm donning above was my moms and I literally fell in love. 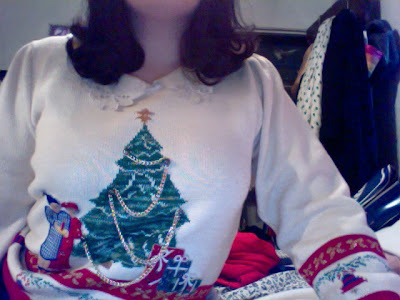 I mean, the tree and chains are cute enough, but the collar! oh the collar! There's no way I could resist a cream lace collar. I'm also donning my fabulous new Ferragamos (Thanks Mom!). 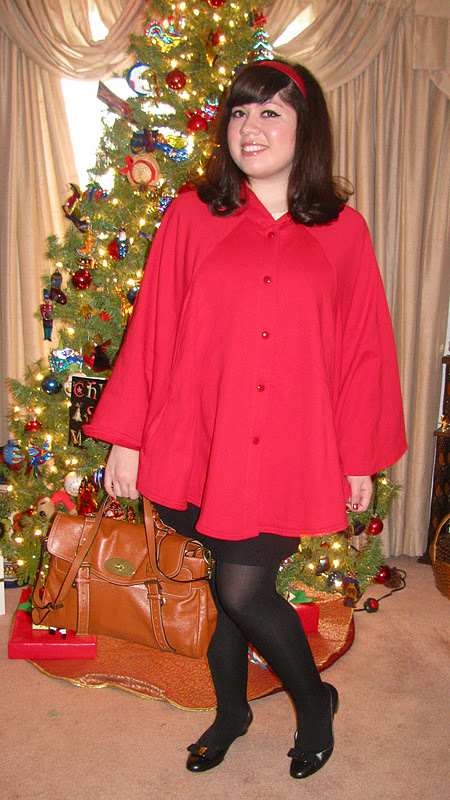 I'm wearing two of my favorite Christmas presents in the photo below, the red American Apparel cape, which was perfect for Texas weather, and my new bag..which I'll probably do a whole entry on....ooo.m.g. 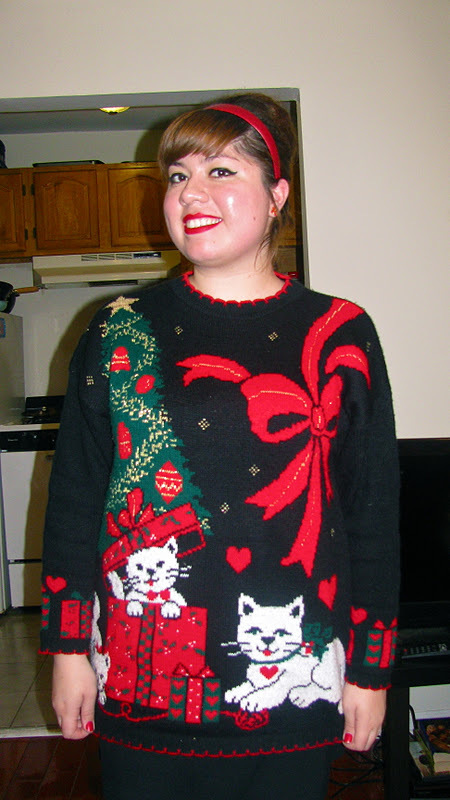 The other sweater I wore was more silly and fun, but equally amazing. 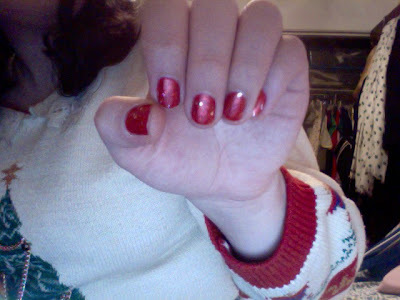 Hearts, cats, and bows! Oh my!